IT IS IMPORTANT TO COMB YOUR KITTEN EVERYDAY WHEN IT IS A BABY. ALTHOUGH IT MAY NOT HAVE ANY TANGLES, THIS WILL KEEP YOUR KITTEN USED TO BEING GROOMED. WHEN YOUR KITTEN GROWS UP IT WILL NEED IT MORE OFTEN AND IT IS MUCH EASIER IF YOU HAVE YOUR BABY USED TO IT FROM A YOUNG AGE. The Persian cat is one of the most popular breeds of cats around. Looking at its long flowing coat and open, flower-like face with wide eyes shining with innocence, it is not that hard to believe. 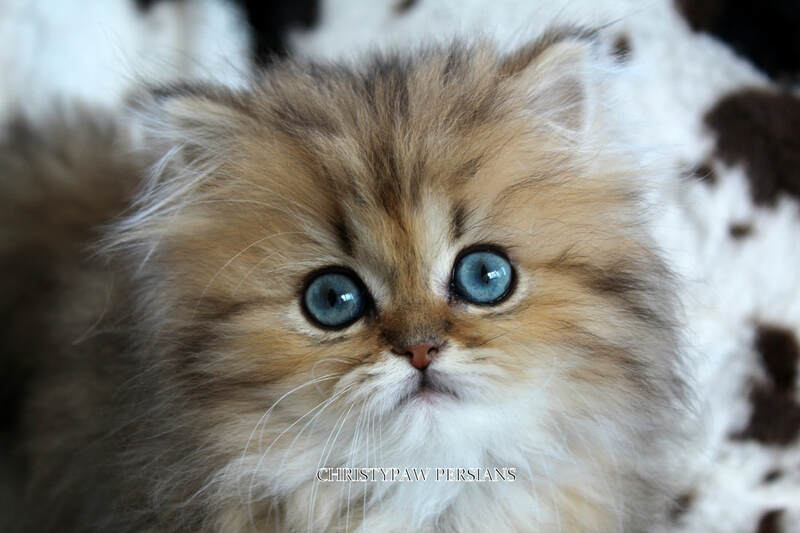 However, Persian cats are well-loved not for their looks alone but for their sweet and gentle personalities as well. They are serene cats that thrive in an environment where they feel secure and loved. But their adaptable nature allows them to feel right at home in boisterous households, especially if reinforced with acceptance and reassurance from the family. The Persian cat’s long coat is its pride and glory. It is what separates it from all other cat breeds. While the Himalayan cat may be closely related with almost similar features, the Persian cat has the distinction of being the older breed, with roots dating back to the Persian Empire in 1684 B.C. Although Persian kittens and cats seem to be always identified with white, the coat actually comes in a variety of colors, thanks in part to Persian cat breeders that continue to develop and improve the breed by cross-breeding it with other cats. Generally, Persian coat colors are divided into seven divisions: solid, tabby, silver and gold, shaded and smoke, Himalayan, bicolor, and particolor. Persians are hardy cats with a solid, sturdy body. The only maintenance required of the Persian cat owner is grooming, which should be regular and frequent. The long coat of the Persian cat should be kept clean and smooth, something that can only be achieved by regular baths and grooming. Both activities play an integral role in Persian cat health as a clean coat helps improve the general well-being of the cat as well as discourage infections and/or parasites. The two most pressing concerns in grooming a Persian cat are tangles and mats. It does not help that the Persian cat’s coat is naturally long and prone to tangling. Tangles and mats are the number one culprits of hairballs in cats. The best way to remove tangles is to comb your Persian’s hair everyday, every other day, or at the very least, once a week. The comb I use is pictured below, I do not use a brush. Gently run the comb over your cat’s coat until the hair comes out looking shiny and healthy. For best results, wait until the coat is dry after a recent bath. Mats are tufts of hair that are severely tangled. The affected areas of hair generally form clumps, which block the skin and cause irritation. If left unchecked, matted hair can lead to itchiness and skin infection. Preventing mats from forming in the first place is one of the goals of regular grooming. However, if a mat does occur in your pet’s coat, use your fingers to gently tease apart the matted hairs. Once the hairs are loose enough, you can sort out the tangles by running a comb through the affected area. However, be careful not to use nylon combs as these are known to generate static electricity. If the mat is too severe, you may have to cut some of your Persian’s hair. Be sure to cut as little hair as possible, else risk having a Persian cat that is bald in some areas. If removing matted hair from a Persian kitten, use a pair of round-tipped scissors. Keep the cat comfortable by offering treats and praises. There are many cat grooming salons that offer to de-mat your cat for you. If it looks like your cat needs to be professionally groomed, then you may want to consider taking your cat to a grooming salon. 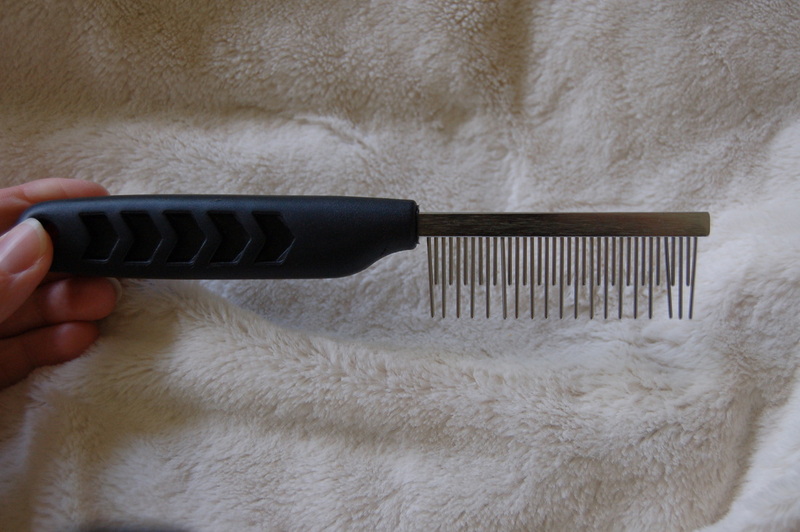 This is the type comb I use, I do not use a brush. Giving your Persian cat a regular bath is the core activity of the day to day grooming process. Regularity is the key bathing as the more your cat gets used to it the less resistant he is likely to be to the whole process. Place your cat gently but firmly in a bath of warm water. Too hot or too cold and you’re likely to cause resistance in your cat or even injure it. The water needs to be well worked into the cat before you start to apply the shampoo. Initially this can be difficult as the cat does not have the patience to stay in the bath tub but with practice things should get easier. Choosing a shampoo may involve some experimentation on your part to see what your cat likes but generally any cat shampoo or even a shampoo with a no tears formula designed for children works fine. Work the shampoo in gently with your hands or a sponge but be careful not to vigorously scrub. Once this is done the only thing left to do is give the coat a good few rinses to get out any shampoo and gently pat your cat dry with a towel. I use Dawn dish detergent. It is gentle enough to use on wildlife and is easily available and safe. Cats, in general do not enjoy being bathed, however, if they are bathed weekly from the time they are a small kitten, they are very tolerant. I do advise that you avoid getting water on their face and in their ears. They do not care for water on their face and this can make them dislike their bathing experience. I start bathing my kittens when they are 6 weeks old, so by the time they leave my home, they have had at least 4 or 5 baths, probably more. An ordinary hair dryer is sufficient to use when drying the hair of your Persian cat, although you should make sure that the setting is on low as otherwise you could cause unnecessary discomfort to your cat or even burning. Those willing ot spend the money will find that most pet stores sell dryers especially for cats which are generally lower in power. Once thoroughly dry you are ready to place your cat on the grooming area and begin cutting away excess hair. The face, ears and back side of the Persian tend to be the three places where the most excess hair appears and consequently where the bulk of your concentration needs to be focused. Be especially careful when doing the ears however as it is easy to accidentally cut into the ear leather of your cat if you aren’t careful. One way around this is to slightly wet the ears making the leather more easily distinguishable from the hair. Trimming your Persian cat’s nails is an important part of the grooming process although it does not necessarily need to be done at the same time as the bath. The problem with nail trimming is that cats have a tendency to get inpatient and in particular do not like having their paws held. Even if you only get one or two nails done before your cat wants to be released that’s fine. You can do the rest the next day. In general it’s more important to clip the nails from the front as the rear nails are less prominent and the bulk of damage to household furniture due to cat scratching comes from the front nails. You can either place your cat on your lap or on a grooming table when cutting the nails. Gently hold the paw and apply a little pressure so as to bring the nails out. Once out simply clip away taking care not to cut too much off as you may accidentally cut into the paw leather causing injury. Eye drainage, in general, is very common in the persian breed. The reason for this drainage is the flatter face that persians possess. Pressure on the tear ducts cause the eyes to drain. There are many supplements, cleansers and powders on the market that are very helpful in controlling this eye drainage. I begin wiping my kittens eyes daily from the time they are about three weeks old. I just use a damp, warm paper towel and wipe the underneath part if the eyes. Because I breed doll face kittens, for the most part, eye drainage is not a problem. If your kitten is experiencing eye drainage and you are looking for a good product, the one I use is called Eye Envy. You can order it at www.eyeenvy.com. The powder works GREAT!